The contract calls for reduced class sizes, a pay hike and hiring of more nurses and other staff in the nation’s second-largest district. The Supreme Court ruled in June that government workers can’t be forced to contribute to labor unions that represent them in collective bargaining. Los Angeles teachers will go back to work Wednesday after voting to ratify a deal between their union and school officials, ending a six-day strike in the nation’s second-largest district. 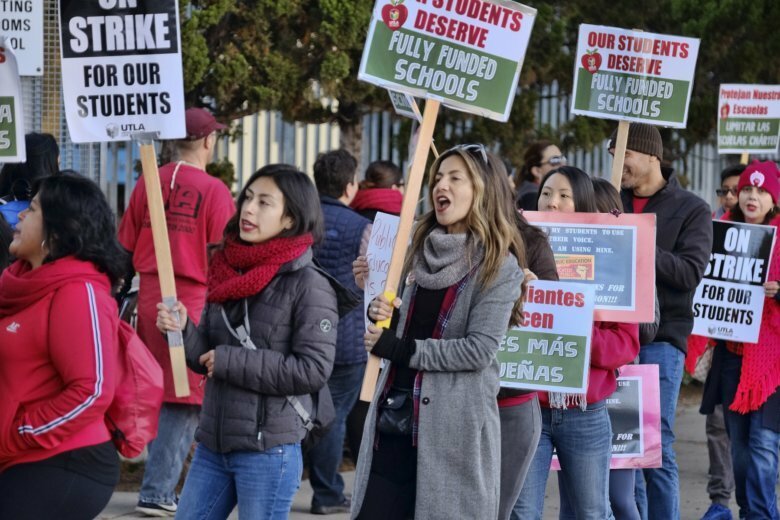 Although all votes hadn’t been counted, union officials said preliminary balloting showed the 30,000 members of United Teachers Los Angeles overwhelming approved the agreement reached Tuesday.